The Australian Taxation Office (ATO) has released its draft rulings on its treatment of crypto-currencies such as Bitcoin, including its determination to treat these differently to money and foreign currency. The clarification follows growing buzz around the virtual currency, which has been adopted by a handful of, mainly online, retailers. Few major retailers have jumped on the bandwagon, however, and in April Amazon said it has no plans to start accepting Bitcoin. 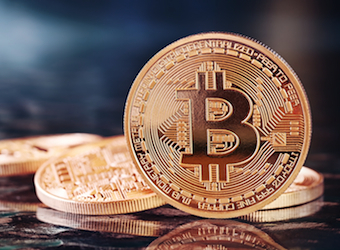 For tax purposes in Australia, the ATO says Bitcoin and its counterparts will be treated similarly to non-cash bartering, with limited tax consequences for individuals transacting in small amounts. However, businesses trading in Bitcoin or similar may face goods and services tax (GST), capital gains or fringe benefits tax. “Generally, there will be no income tax or GST implications if you are not in business or carrying on an enterprise and you simply pay for goods or services in Bitcoin (for example, acquiring personal goods or services on the internet using Bitcoin),” the ATO says. The ATO will disregard capital gains from Bitcoin purchases when the Bitcoin cost is less than $10,000. There may be capital gains tax consequences. if it is not considered a valid salary sacrificing arrangement, the employer must meet pay as you go (PAYG) tax as per a normal salary. Those interested in information on mining Bitcoin and Bitcoin exchange can visit the ATO web page on cryptocurrencies. Australian Digital Currency Commerce Association chair Ron Tucker told the ABC that members’ dissatisfaction with the ATO’s proposed rulings would drive the industry offshore.